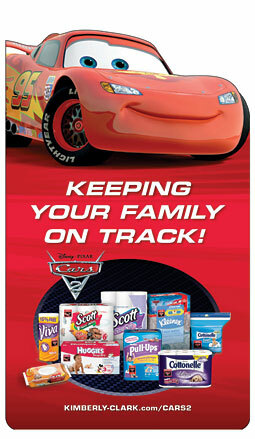 Kimberly-Clark has launched a global marketing campaign to coincide with the June 2 release of the Disney-Pixar movie “Cars 2”. The studio bills this as its “biggest animated feature release ever”, and in return, Kimberly-Clark has begun a “scale event”: a multiple-brand marketing effort pushing an entertainment property in order to capture the attention of major retailers. Is Kimberly-Clark taking a chance by tying so many brands to one entertainment property — what if the film fails at the box office? As with the case of K-C and “Cars 2,” the promotional programs generally start weeks before the film opens, she said, which mitigates potential fallout should it not generate much opening-week buzz. Spark Alliance Marketing assists in Marketing Strategy, Development, Partnership Marketing and National and Global Alliances.